The Christmas Tree preparation for 2011 started already in early November with students aged 10 -19 making Christmas tree ornaments. But why that early? Why not do it in December? Well, the answer is easy: we were participating in the European Christmas Tree Decoration Exchange. We were making Christmas tree ornaments for a total of 35 schools throughout Europe and had them mailed by the end of November. 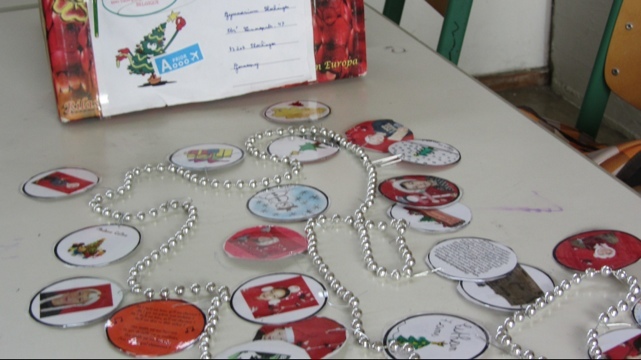 In return, the GymPl received ornaments from the other schools participating in our group. Almost every day a parcel arrived containing ornaments plus a little bit of extra information from that school/country. The Exchange is hosted by Europe direct, a Information Service for citizens of Europe. My personal highlights of the exchange were golden pasta from Italy, Welsh love spoons, a water drop from Poland and last but not least, a photo of 9-year old Jose Miguel from Spain, who was dressed up as a Christmas Tree. 2011 we had a very European Christmas Tree and we’re all looking forward to a revival. 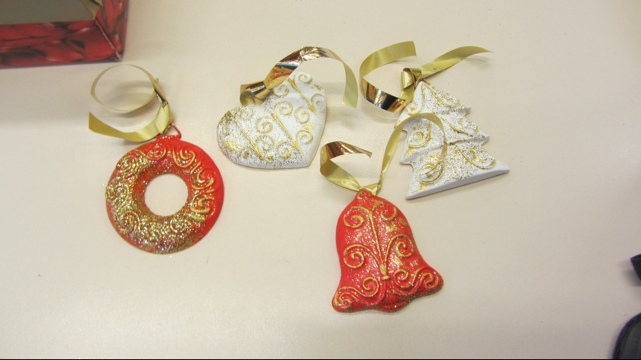 2011 haben wir zum ersten Mal am European Christmas Tree Decoration Exchange teilgenommen. Zusammen mit 35 Schulen haben wir Weihnachtsschmuck gebastelt und gegenseitig zugeschickt, herausgekommen ist dabei ein echter europäischer Weihnachtsbaum.